Blue Geranium is an artisan florist based in Totnes, Devon, providing fresh seasonal flowers for all occasions including weddings and funerals, as well as for private and business contracts. The company also supply beautiful hand-tied bouquets, ordered by phone, to be delivered throughout the UK. Their flowers are skilfully arranged, in their own distinctive style and are instantly recognisable as Blue Geranium designs. These flowers are not only amazing to look at, but take significant time and skill to prepare and are a fabulous gift for the recipient. 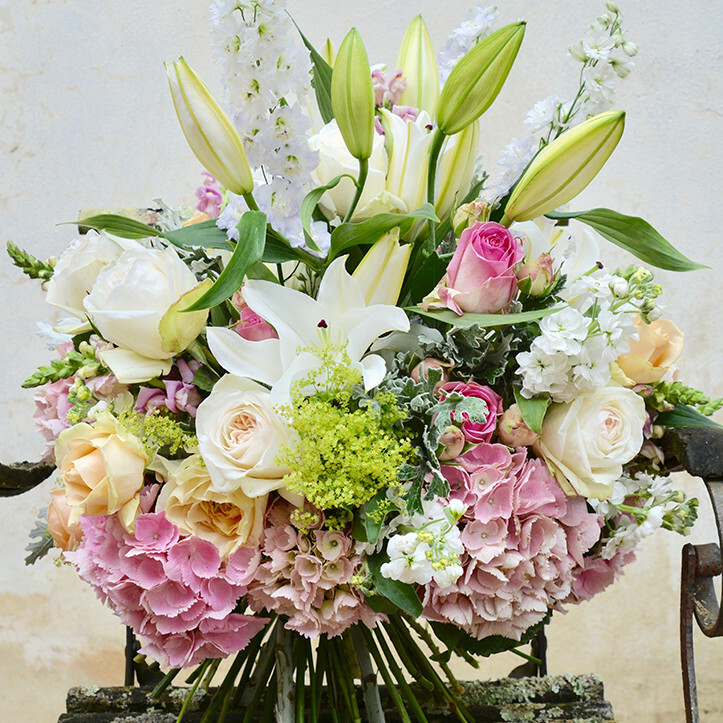 Choosing the right courier company to deliver these beautiful bouquets is crucial. 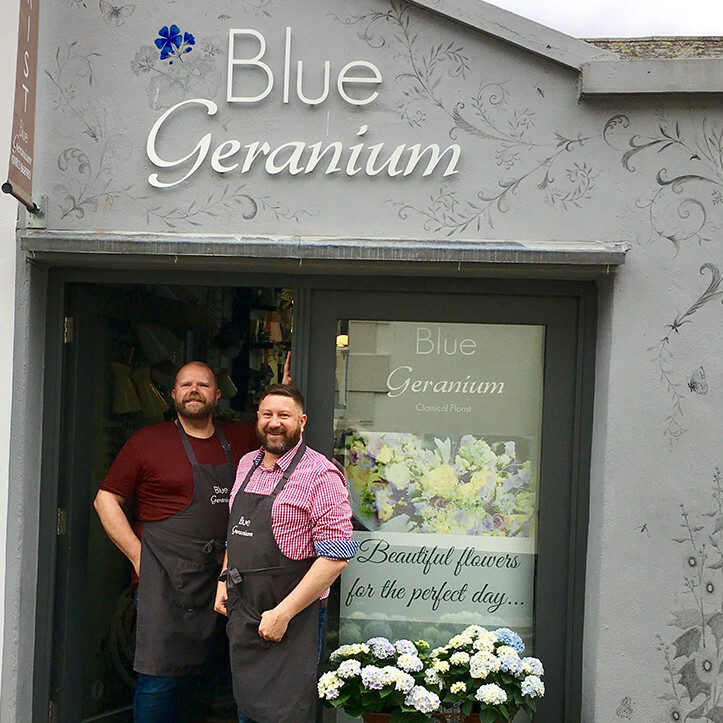 Phil and Don Thornford, owners of Blue Geranium, have used Deadline Distribution to deliver their fresh flower bouquets for more than 15 years, developing a trusted relationship over this time. Blue Geranium uses Deadline’s next day delivery service to deliver their bouquets to customers all over the UK. As a member of the APC Overnight delivery network, which has more than 115 depots nationwide, Deadline can deliver next day throughout the UK. In addition, Phil and Don choose to select Deadline’s Fragile service for their deliveries. This specialist service is particularly suitable for items that require more delicate handling, such as ceramics, food boxes and of course, boxes of flowers. Using specially-designed boxes, Blue Geranium’s hand-tied bouquets of beautiful flowers are sent to the lucky recipient. The Fragile service offered by Deadline is crucial in making sure the carefully selected and beautifully arranged flowers reach their destination looking as perfect as they did when the bouquet was created. Sending fragile and special goods like flowers means Blue Geranium needs a delivery partner they can trust. ‘We trust Deadline for its 100% track record on reliability, which is paramount for Blue Geranium’s national bouquet delivery service’ say the owners. Orders for Blue Geranium’s national delivery service start from £75 (orders by telephone only) and deliveries are Tuesday to Friday. If you’d like to find out more about Deadline Distribution and its delivery services, including the Fragile service, please get in touch here.